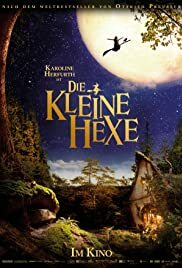 The story of a young and nice witch who learns everything there is to know about magic, in order to be accepted by the other older mean witches. German box office report 2018: why are admissions down in one of Europe's biggest markets? Just watched this with my 11 yr old and we loved it! Loved the characters and the set was just full of so much to see. Cgi was pretty good and special effects makeup was spot on. I would actually be happy to sit through this again without moaning about it!